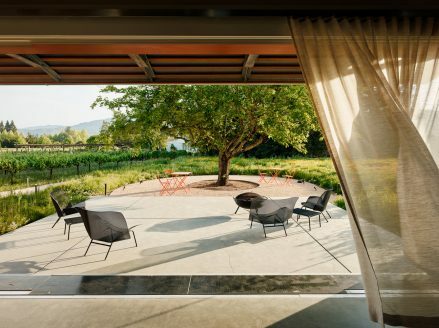 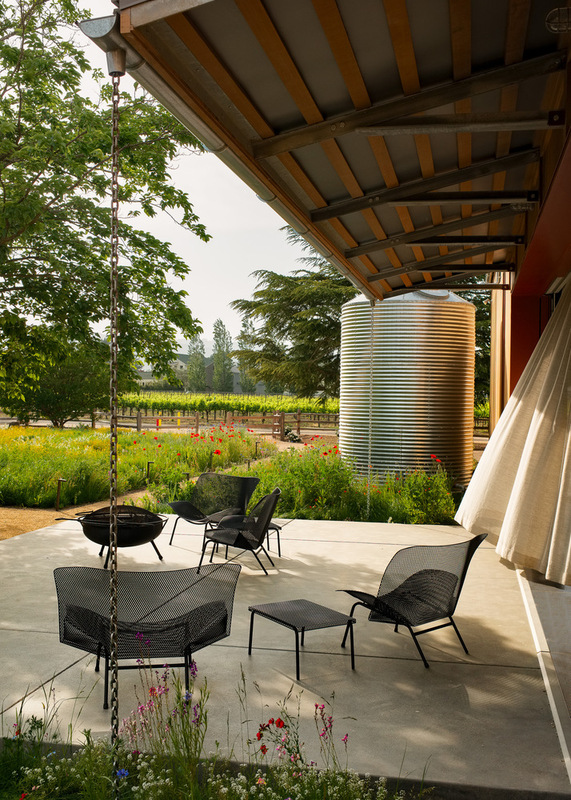 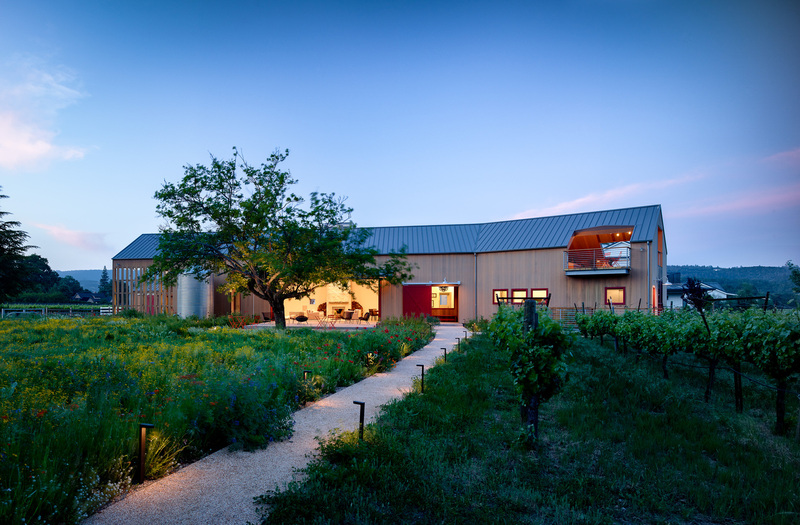 We do not often contact an architect when we want to build a barn but in this case it was necessary since the request was to create a special guest pavilion in a vineyard that was small. 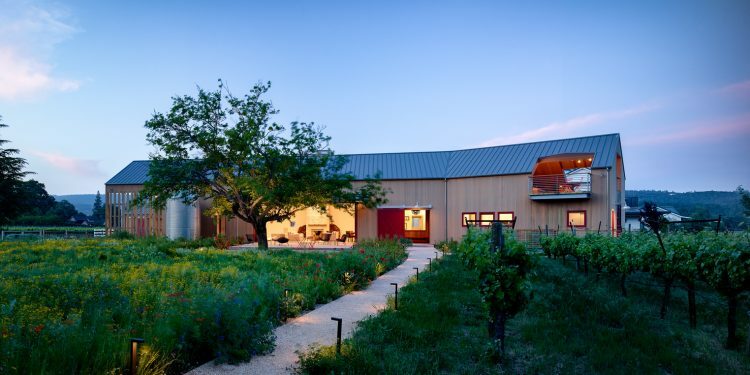 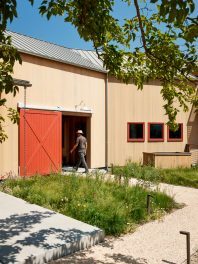 At the same time, this Napa Barn needed to be able to host a sit down dinner for around 60 people. 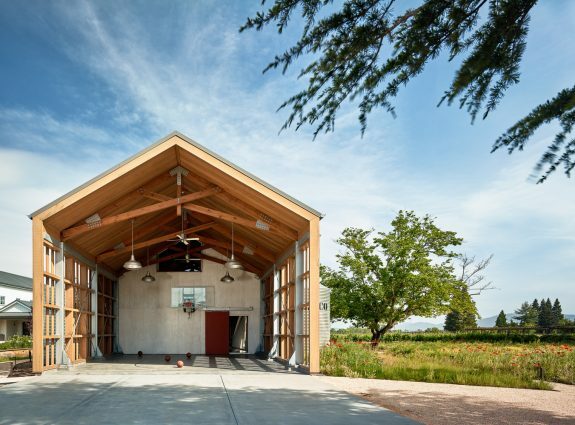 This is intriguing from the start, making the project interesting, especially as a basketball court also had to be accommodated. 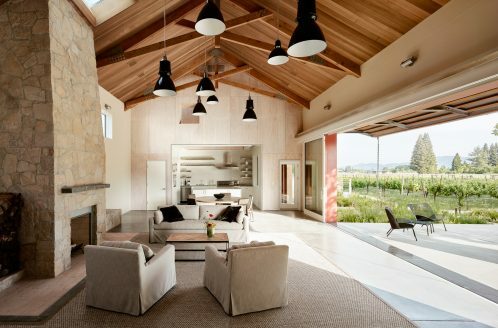 The initial request was basically a set of requests and what appeared was the Napa barn in the pictures below. Anderson Architects did a great job on it. 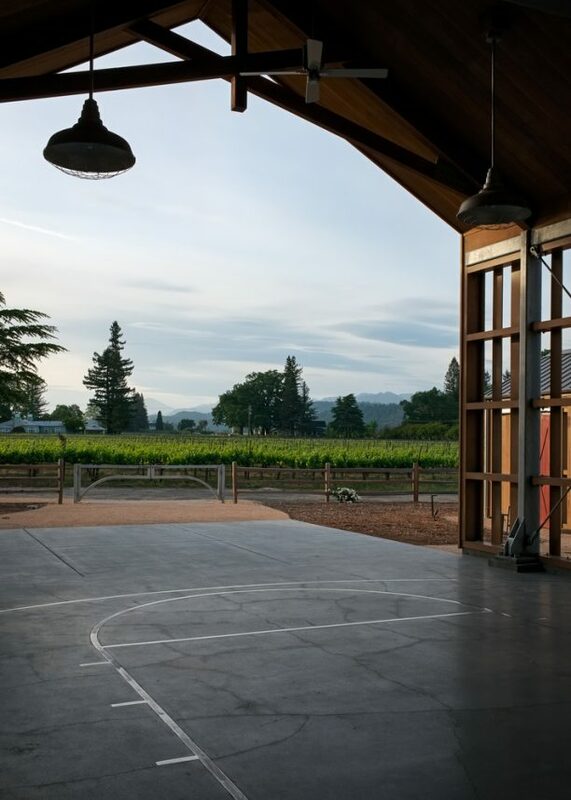 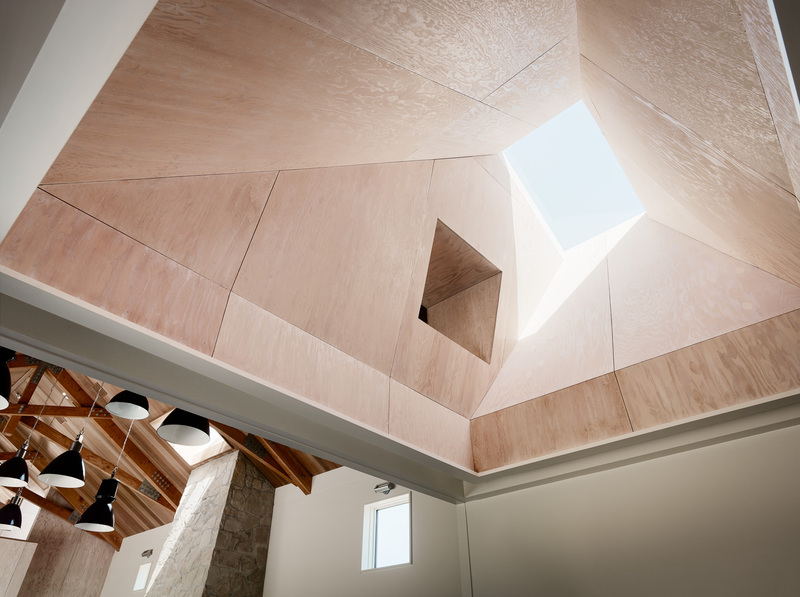 The location of the building was chosen so that open space can be used and the barn eventually ended up being angled in the shape of a V. A courtyard became available. 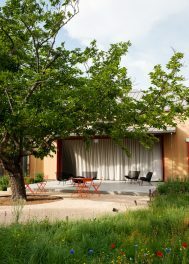 All materials chosen are really low maintenance. Interior materials are patterned natural surfaces like native stone or whitewashed plywood. 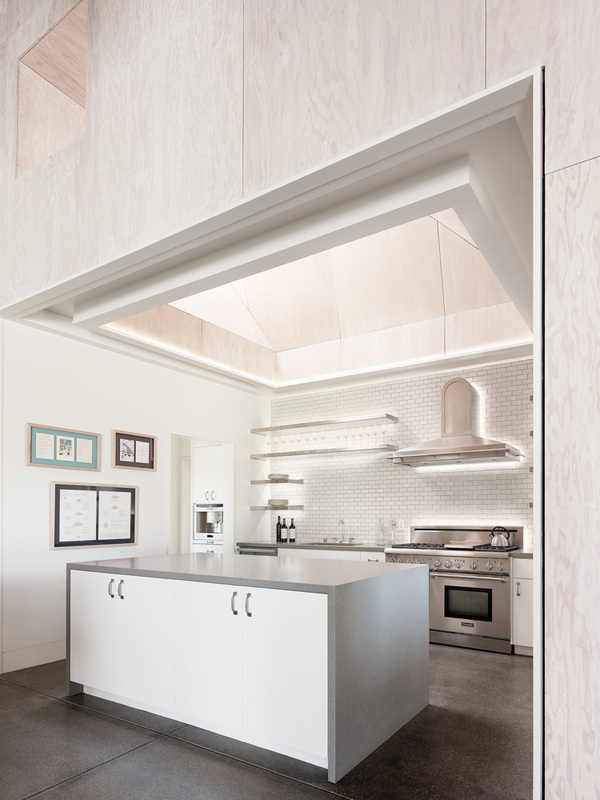 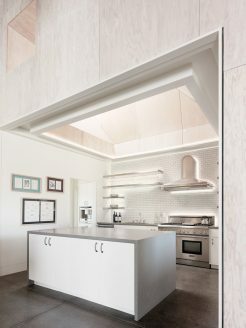 You will most likely love the main house room because of all the natural light that comes in and the open kitchen features a skylight shaft that only makes the interior better. In order to accommodate a basketball court, the garage was chosen. 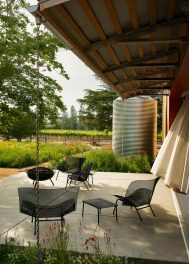 It was accommodated with stainless steel lines that are put right into the concrete. 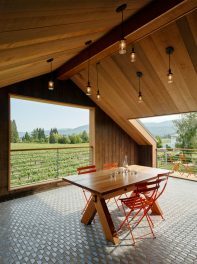 Cedar slats make it easy for air to flow and rain water will be collected through some large tanks to be used for fire protection and irrigation.